I2P vs TOR vs VPN vs Proxy Which is More Secured? Security tools such as I2P, Tor, VPN, and Proxy are the most preferred ones in an era of such privacy hassle. All of these provide more or less the same security features with different intensities. Tor VS VPN gets you to an answer that you could hide your IP address, Unblock restricted websites and encrypts your traffic through both the techniques. While I2P VS Proxy gets you to an answer that you can hide your IP address and can surf the web anonymously. However, there are certain conditions which make all of them different from each other and make one of them preferable over the other. 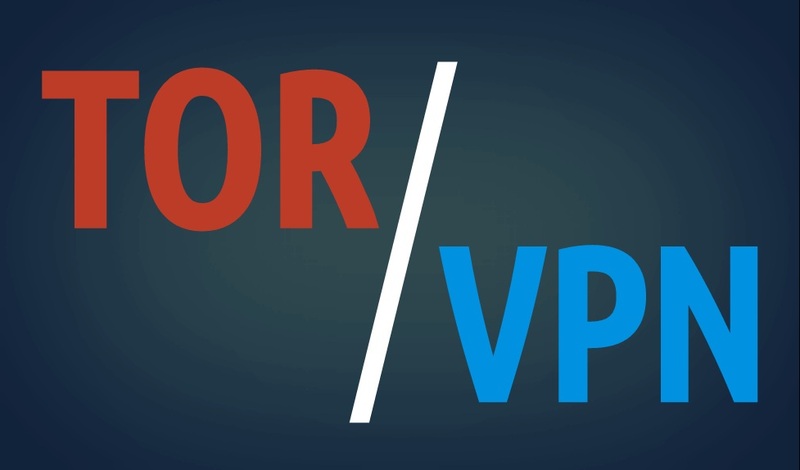 Here we would highlight the marking differences between Tor and VPN, I2P and Proxy making it easy for the readers themselves to decide the one with more efficient performance. How All of These Technologies Works! Not all Internet users are aware of the working patterns of Tor, VPN, I2P, and Proxy. Through understanding this, it would be easy for the readers to figure out the advantages and disadvantages which are discussed later in the article. However, the ones who are familiar with their functions could skim through it and jump on the section explaining Tor VS VPN and I2P VS Proxy. Tor is software that allows you to surf the internet anonymously. Without any charges, it downloads from the internet. The Tor browser works differently from a VPN. The data encrypts with various nodes. The three servers or nodes kept between your connection and the destinated location to provide better anonymity. With each passing node, the data encrypts. Whereas, nodes to which data transfers are just aware of the location to which it will transfer the data and from where it is coming. Therefore, the whole route, the origin of the data and the destination of that data remain anonymous. Tor network’s relay circuit is reset after every 10 minutes. In this way, your the previous action tracks easily. The nodes operate by different volunteers thus the larger number of volunteers makes the network more efficient. Therefore, it is difficult to even for the NSA to de-anonymize a Tor user through relating the chain to the origin point. Tor also stops middle-men snooping such as the ISP tracking or other cyber goons with malicious intents. Whereas, your data is at the risk of vulnerability when it reaches the last server where the decryption occurs. An operator at the previous server could read all this information and can use it for any such malicious purpose. Therefore, you should use HTTPS while sending your personal data so that it remains encrypted. VPNs are a much-known term to the internet users of the present age. A security technology getting immense acknowledgment and consideration is a Virtual Private Network (VPN) due to some of its robust privacy features. Your internet traffic encrypts through a server. For instance, if you are visiting a website while connecting to a VPN service than it first it will go towards a server and then to the web page. This process of encryption provides many advantages for your data security. Encrypting traffic means that a person between you and the server could not get your data. When an internet provider or any other entity looks down to the encrypted data, it appears as an inappropriate juggled text which is unrecognizable. Also, a VPN service allows you to get over the geo-restrictions through the encryption process. For example, if you are present in Beijing and the VPN server to which you are connecting is in the US. Then the site you visit will think you as a resident of the United States. Therefore, you can stream a content blocked or restricted in Beijing and is available for the US citizens such as Netflix, HULU, etc. However, using a VPN makes your data visible to the VPN servers for which most VPN providers claim their zero logging policy. But, you never know that this is a genuine promise or not and would this policy remain same in future. So, a VPN could also reveal your data especially to the state actors who are more likely to compel VPN providers to break their rule. The I2P or Invisible Internet Project is a devolved anonymizing network. It builds by using Java on similar grounds to Tor. I2P is effectually an internet within an internet. If you connect to this network, you can quickly send emails, surf websites, can use blogging and forum software, hosts websites, benefit from devolved file storage, indulge in anonymous real-time chat, and many more. Moreover, you can comfortably browse the open web anonymously. Not like other anonymizing networks, the I2P don’t even try to provide anonymity by hiding the creator of some communication while not the recipient. The peers use I2P to communicate with each other anonymously. In this network, the sender and receiver are unrecognizable not only to each other but also to the third parties. A set of nodes or routers makes the I2P network. It also contains numerous unidirectional inbound and outbound virtual paths. A cryptographic knows every node. The nodes communicate with each other by existing transport mechanisms such as TCP, UDP, which passes several massages. The client applications have their destination or cryptographic identifier which allows to send and receive messages. The clients are free to connect to any router and approve the temporary lease of some tunnels. These tunnels use for transmitting and receiving signals by the network. I2P possesses its internal network database to distribute routing and contact the information firmly. I2P network offers several advantages to the users. It shares files at a faster rate. Moreover, there is no timing attacks and Man in the Middle Attacks. But it also imposes certain risks too. I2P network doesn’t guarantee anonymity when you’re using it in public. Moreover, it works perfectly, when used within the right specifications. The I2P network does not work on the typical user with a Window or Mac system. You can use Linus OS to confirm useful anonymity. A proxy is like a gateway between the user and the internet. It acts as an intermediary server dividing the end users from the website they surf. Proxy offers different levels of security, privacy and functionality subject on your need, use, or organization policy. When you’re using a proxy service, internet traffic data runs through the proxy server to address your request. The request we brought back to the same proxy server. Later the proxy server onwards the data obtained from the website. A proxy server is nothing but a computer on the internet. The IP address is already known to your computer. The web request first goes to the proxy server. Later the proxy server on your behalf makes a web request. Moreover, the proxy server collects the response from the web server and forwards the web page data. In this way, you see the page within your browser. It should be remembered that when proxy server forwards the web request, it is possible that it makes changes in your data and get you the information which you suppose to see. A proxy server is capable of changing your IP address. It hides the IP address but is unable to encrypt data. Also, a proxy server is capable of blocking access to specific web pages depending on their IP address. With the same core functionality that is anonymity, both security technologies are effective in different circumstances. Also, the usage for both VPN and Tor differs from each other. For streaming purpose, you want to bypass geo-restrictions. Most of the countries put these restrictions on the content of other nations. Tor VS VPN for such use is same in providing anonymity, however, the most important thing while streaming content is the speed. Therefore, it is an obvious judgment that a VPN has the edge over Tor concerning speed. Many of the Tor users complain of extremely slow speed which is an extreme annoyance for the people viewing content. Streaming content with a flawed speed is harrowing for the people especially when popular content such as Netflix, Hulu, HBO, and others are massive streaming channels. If you require a high level of anonymity than a Tor browser could be the better option as compared to a VPN. Because of many nodes and diverge network, it is difficult for the state actors such as governments and law enforcement agencies to track the origin of data. Torrenting is an act that has strict rules in most of the countries. They are difficult to understand for most of the people. However, through using technologies such as Tor and VPN, you could safely do torrent downloads and P2P file sharing. But the question here is that among VPN and Tor which one is more efficient while torrenting. Heavy media content such as HD movies takes a long time for downloading. Tor being a relatively slow service makes it more time consuming as it consists of many nodes. Therefore, torrenting could be both faster and secure with a VPN service. We have highlighted many aspects in which one has an edge over other. But looking forward towards the overall impression generated by these aspects of Tor and VPN. It could be said that Tor is better to use when you want anonymous browsing. However, VPN serves with many features such as spoofing geo-restrictions, anonymity, torrenting, faster streaming and security from hackers. Although, it is recommended to choose the best VPN services that are trusted by Internet users and are effective for their services. Streaming is associated with the speed. The proxy works at much faster speed than I2P. If you are using a proxy server then there is no chance that your internet connection will slow down, however, I2P works at a slower speed and therefore is not a good option for streaming. If you have to choose between I2P and Proxy for streaming then it is recommended to use a Proxy server. Both I2P and Proxy provides different levels of anonymity to the users. If you want to surf the web anonymously by hiding your real IP address then you can go with Proxy. However, if you want to surf Dark web or any other private web anonymously then you should choose the I2P network. Both the tools provide different levels of privacy and security. A proxy server does not offer encryption facility but efficiently hides users IP address. I2P effectively encrypts the internet traffic data but fails to encrypt the network activity. Therefore, Proxy provides privacy and security in terms of hiding the real IP address while I2P provides security by encrypting the data. VPN is a better option than Tor, Proxy, and I2P. The VPN service rarely slows down and thus is known best for streaming. Tor works at an extremely slow speed due to which data is casually bounced by many nodes, each of which can be present anywhere in the world. Therefore, using Tor is painful as it’s speed is slow and it takes a lot of time to stream. Whereas, I2P works littler faster than Tor. Tor is full of unrevealed services, many of which are much faster than Tor-based equivalents. However, a proxy does not slow down the internet. But it can make the internet connection feel slower thus, it is a better option than Tor and I2P but not better than VPN. If your main concern is only linked to hide your real IP address then you must go with a proxy service. However, if you want private access to some hidden services and messaging techniques within a distributed network of peers so, you should choose I2P. If you wish to encrypt all your internet traffic and also don’t want to compromise on the speed as well. Thus, VPN is the best option for anonymity. But if you want to access private sites and dark web then you should comprise to the speed and choose Tor. All of them provides better security and privacy in a way or other with some variations. VPN protects users privacy by hiding the IP address and also encrypting the internet traffic. However, there are various free VPN provider who do not always provides security and privacy to the users. Similarly, I2P also protects the privacy until you’re using it on a regular web browsing. It encrypts the data but not encrypts the network activity of the system. Tor provides better security and privacy in all aspects. While using Tor no one is going to identify you anywhere. While proxy also just hides the IP address which means the protection level is not as good as that of Tor. We are hopeful that now you are fully aware of the main differences between Tor Vs VPN, and I2P Vs Proxy and can decide which tool is the most secure one.